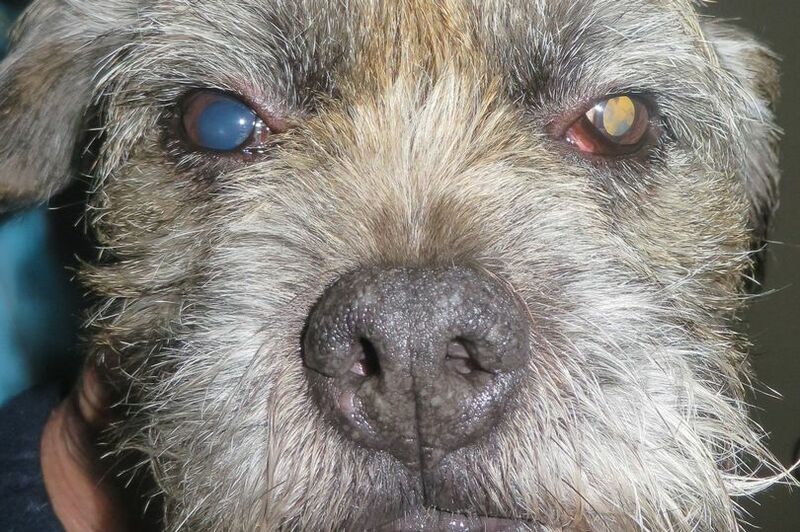 Owners are being urged to check their dogs’ eyes or risk them going blind. Dry eyes is a common condition that can lead to infections, ulcers and even eyes being removed – but only half of ­owners are aware of it. Nicole Paprotny, 30, had to have both her pet’s eyes removed after he was diagnosed. The first symptom her ­labrador boxer cross Scully showed was conjunctivitis. Despite various treatments, he stopped producing tears. He had ­surgery to direct his salivary glands to his eyes but this failed so he lost his left eye. Then, two months later, the condition hit his right eye. Nicole, a vet nurse from Tranent, near Edinburgh, chose to lose the eye rather than have him put to sleep. 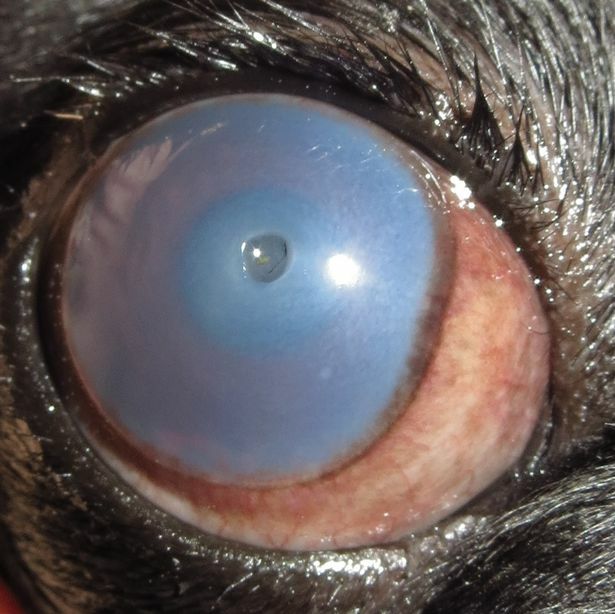 One in five vulnerable breeds and one in 20 of all dogs suffer with dry eye at some stage in their life. Symptoms include eyes appearing red and sore, repeated cases of ­conjunctivitis, excessive blinking or eye rubbing, discharge and eyes ­having a dry and dull appearance. Pugs and pekingeses ­cannot fully shut their eyes so they dry out. Cavalier King Charles spaniels do not have tear glands and cocker spaniels are prone to an autoimmune disease that attacks the gland. Chris Dixon, specialist at Veterinary Vision, is helping educate owners throughout July for Dry Eye Awareness Month. 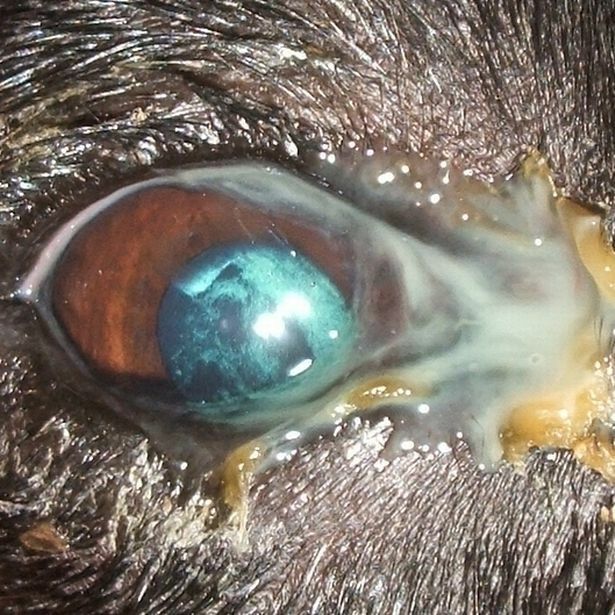 He said: “Sadly if cases go ­unnoticed, dogs can develop long-term eye ­damage. Early diagnosis is essential.